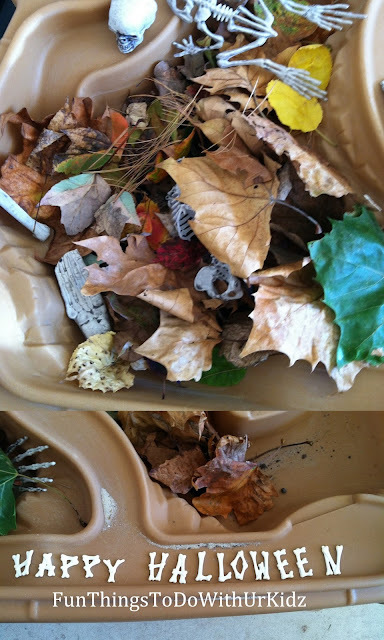 This sensory bin included leaves, sticks, and fake skeletons. By adding real things found in nature we were able to including more then one sense. Touch~ Everything in here felt different. Leaves were different from the sticks witch were different from the fake toys.